Flow gently, sweet Afton, amang thy green braes, Flow gently, sweet river, the theme of my lays: My Mary's asleep by thy murmuring stream, Flow gently, sweet Afton, disturb not her dream. 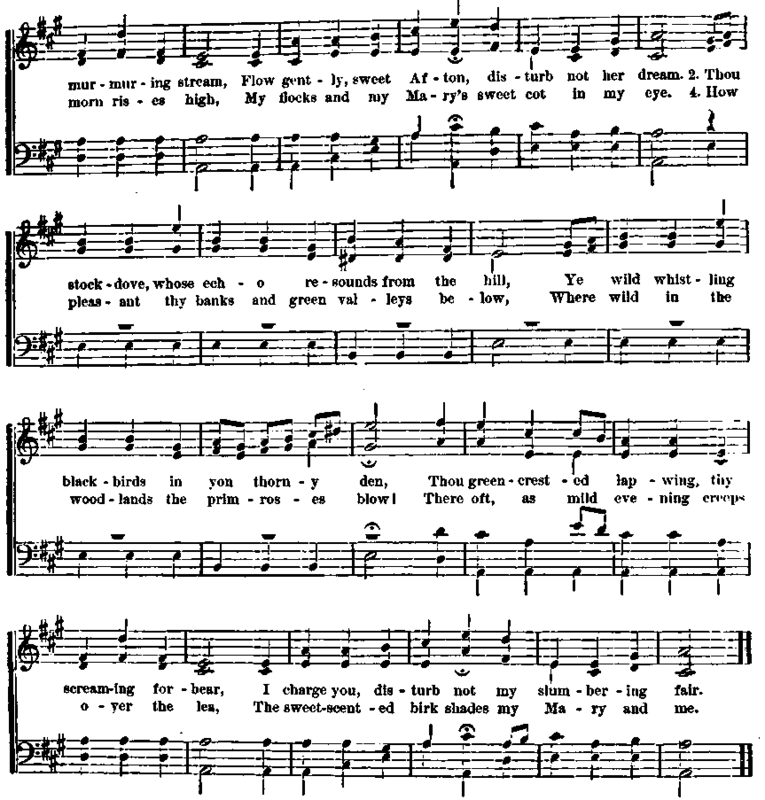 This song was written by Robert Tannahill, to the air called "Bonnie Dundee," which, it seems, can be roared to you like a lion, or cooed to you as soft as a sucking dove. The Braes were a tract of country near the poet's home, and they were sometimes known as the Stanley Braes. Robert Dinsmoor, who published under the nom de plume of " Rustic Bard," and who was born in Londonderry, New Hampshire, in 1757, included this song in a rolume of poems, as his own.